Tgo W Clearomizer can hold 1.2ml of e liquid and can last for up to 100-150 inhales. 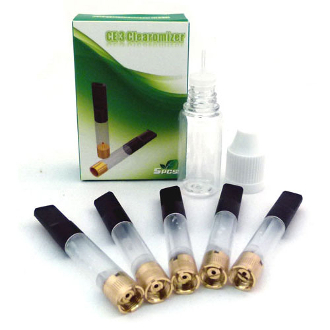 Refill your clearomizer with our great selection of e liquids and save. The TGO W Clearomizer is also compatible with the DSE901 batteries. Get a free drip tip bottle when you buy 5 clearomizers.